Google + has been the topic of a lot of buzz in the blogsphere recently, with many bloggers and journalists predicting the demise or success of the new social media networking tool from the search engine giant, Google. “Basically, Google+ is an incorporation of several services many already use. The idea, according to Google, is to do them better.” If you’re not familiar with Google +, check out this great article from BusinessInsider. I don’t blame some of the naysayers, given Google’s past history of social media gaffes including Google Wave and Google Buzz. 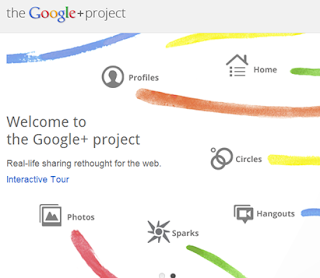 However Google+ seems different. Like many others, I believe it’s still a little too soon to say whether the attempt will sink or swim. From a PR and marketing perspective, there is positive news for brands and companies to get on board. Early adopters of Google+ include Ford Motors Company and Mashable, however Google wants to keep close tabs on the brands that are using the platform and encourages companies and brands to apply for the Pilot program. This interview with Christian Oestlien, the lead product manager for social advertising at Google, was featured on Ad Age Digital. Oestlien reveals the rollout of brand pages could happen very soon. One thing Google will have to overcome in the coming months is keeping up with the demand from current and potential users. Recently, the network was blocked out to some potential users and invitees to allow the company to play catch-up with the large demand of people wanting to sign up. Last week, Stephen Shankland of Cnet.com reported that Google was ready for another growth spurt in population, allowing those already able to access the platform the small window of time to invite others. Over the past weekend, I noticed an influx of invites and was able to access my own Google+ account and invite friends. However, with growth can come bugs and errors. According to CNN, some users reported being spammed with notification emails but many were quick to forgive the search giant. Circles: This feature allows users to segment their connections into categories called Circles. Many are praising the ease of use of this feature that Facebook didn’t quite capture with their Lists feature. Now targeted messages to Circles can provide customized outreach. Sparks: An integrated tool to allow users to easily perform searches about a topic and find content to share with their Circles. Hangouts: A group video chatting ability that allows up to 10 users to interact at once. This feature seems to directly compete with the recently announced video ability that Facebook rolled out. 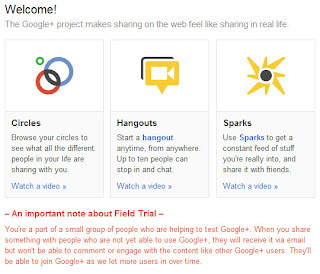 Unlike Facebook’s video conferencing, Google + users can invite an entire circle or individual people to join the “hangout” and collaborate. It seems like this service is moving faster than light. Just yesterday, ComputerWorld reported some changes coming this week to the platform. Today, Mediabistro.com reported that 10 million users have signed up for Google+ in two weeks! Here at Furia Rubel we will continue to explore the opportunities that Google+ can offer our clients and keep the readers of ThePRLawyer in the loop with new features and benefits for their business.